So, I have a terrible confession to make…I only cooked twice last week. Ugh, it was just so busy with meetings, impromptu play dates and just not wanting to eat what I had planned. Let’s just say we are all sick to death of eating out and can’t wait for some home cooked meals. 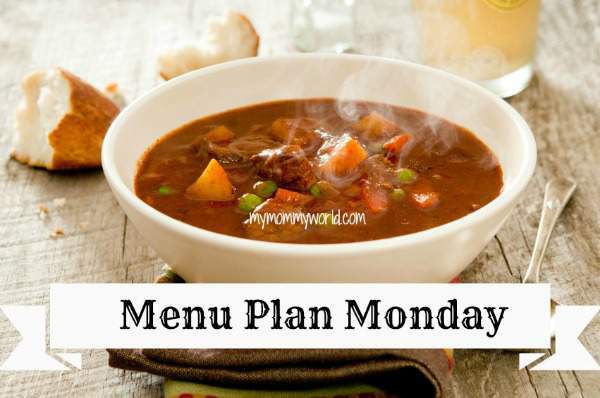 To find more inspiration for your own weekly menus, check out OrgJunkie’s Menu Plan Monday link-up! I think we all have weeks like you described. I know with the work we did around the house this weekend we ended up eating out this weekend. My son loved it since he loves to eat out. But it hard for me since I know it’s more expensive. Your menu plan looks good I hope your week goes well.